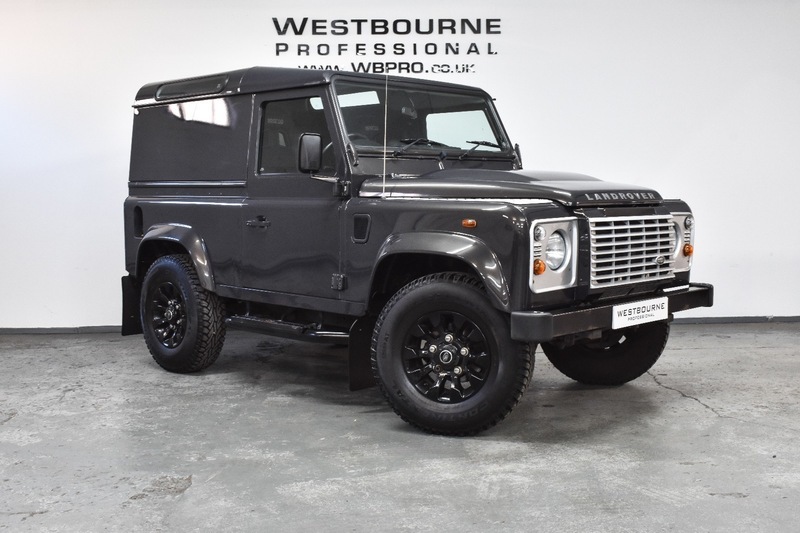 ***RESERVED*** A beautiful example of a Defender 90 Hard Top, presented in the rare colour of Havana Metallic, and complimented with 16" Gloss Black Sawtooth Alloy Wheels. Equipped with many features of the XS model, the specification of this 90 includes Air Conditioning, Side Steps, Electric Windows, Rear Carpet Lining, Chequer Plate Wing Tops, Cubby Box, Alpine Stereo, Sparco Leather Bucket Seats and more. A low mileage vehicle with just two private owners from new, supplied complete with full service history at 7128, 10061, 15760 and 27547 miles. £20,480 + VAT.